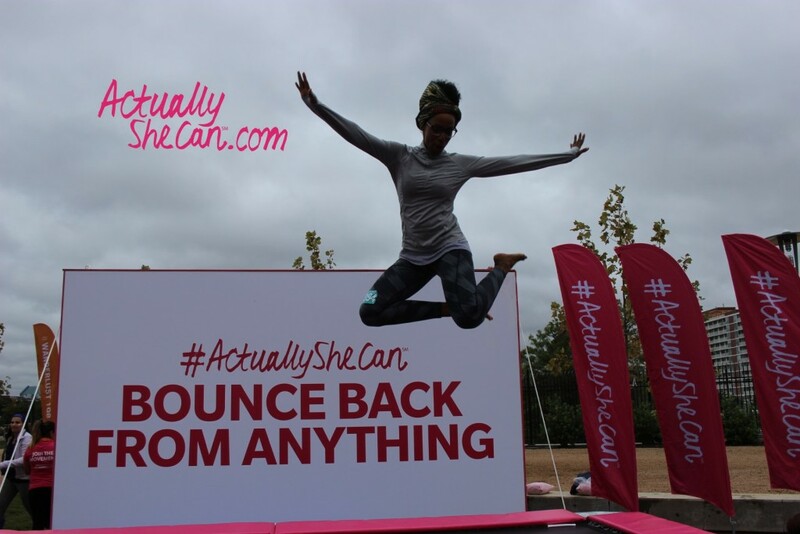 I mentioned earlier this year that one of my 2016 goals will be attending a yoga retreat, so when my mom said we should attend Wanderlust 108 in Houston, I was all over it. Wanderlust was on my radar but I thought they only went to the standard festival locations: Colorado, NY, beautiful islands with amazing views. Imagine my surprise and delight that they came to my hometown of Houston, Texas. Plan to fail and have a sense of humor about it – My mom and I got all the way (30 minute drive) to event location and then realized we’d left our yoga mats at the apartment. At that point, all we could do was laugh at ourselves. Thankfully, Pravacana Mats was one of the vendors and we ended up with both a mat for the day and for the memories. 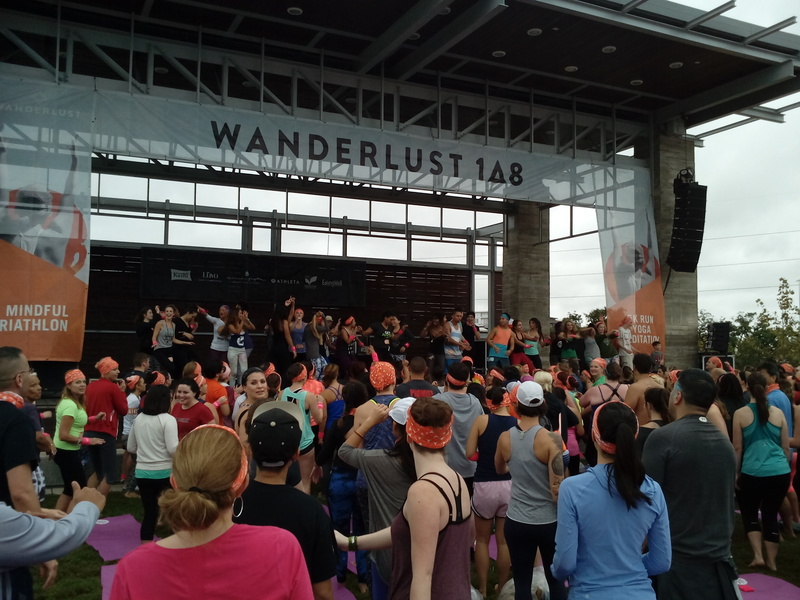 Accept what you can control and embrace what you can’t – Wanderlust billed the event as a “mindful triathlon,” starting with a 5K, followed by an hour and a half of yoga and ending with meditation. The forecast stated heavy rain all morning, but the event was going on rain or shine. 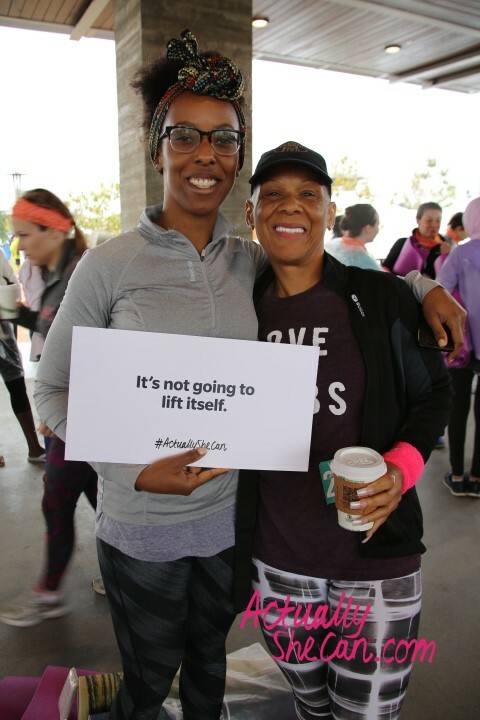 Rather than drop out of the event, my mom and I went full force into the 5K. It started out cool and dry and halfway through the rain was coming in sideways. What can you do at that point but enjoy the natural cool down of the rain? 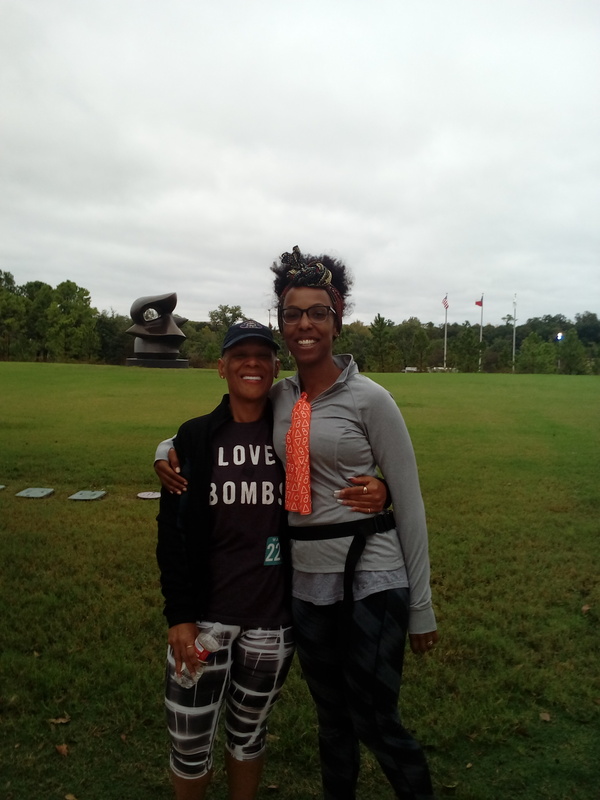 Thankfully, it all cleared up for a lovely 90 minutes of yoga with Faith Hunter (a hilarious teacher who kept the energy high) and Brook Cheatem (who I need to go find, since she teaches in Dallas). Recovery is as important as preparation – confession time: I am not a runner. In fact, I low-key dislike running long distances. Give me sprints and I’m a happy camper. So five kilometers of running had my hip flexors, glutes and thighs upset with me. The post-run rolling with TriggerPoint helped me focus on those trouble spots in a new way, and I plan to incorporate the lessons into my regular stretching routine. Enjoy the moment – though I may be of the “look at me” generation, I have never understood the compulsive need to document every moment of my life on Facebook, Twitter and Instagram. Though it wasn’t very “yogi” of me, I wanted to smack the camera out of everyone’s hand during asana and tell them to focus not how cute they think they look but instead center in on the energy of 200+ people who want to enjoy the moment. Say yes to new experiences – one of the sponsors, #ActuallySheCan, set up a trampoline and a photographer, which means of course I couldn’t say no. You can’t avoid new experiences for being afraid of how you’ll look to others! This is so cool. Loved that you got to share this with your mom. Love your outlook and tips! It made me want to try something new that I was previously afraid to attempt. Thanks!